What are the best questions to ask a mortgage lender before you lock in a home loan? If you want to find the very best mortgage for your needs, it pays to not automatically go with the very first lender you see. 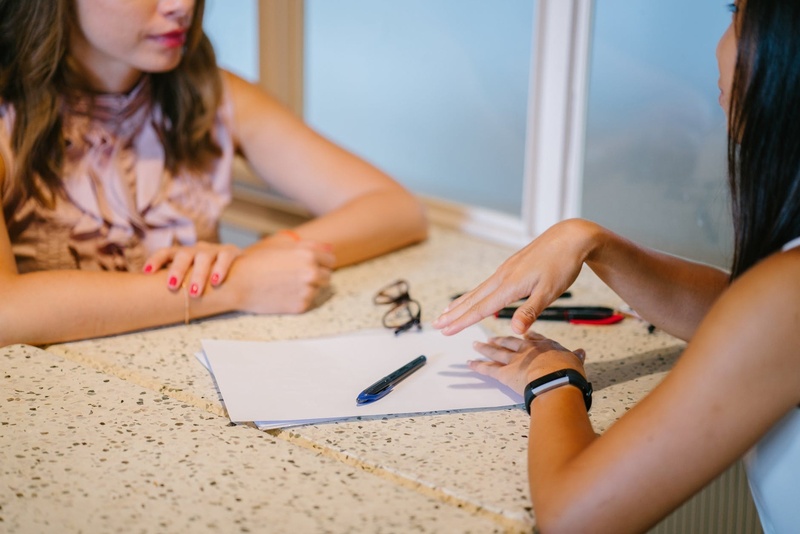 “You need to shop around to make sure you’re getting the best interest rate and loan terms,” says Peggy Yee, supervising broker at Frankly Realtors, in Vienna, VA, who recommends that home buyers meet with at least three lenders before they pick. So how do you compare and contrast your options effectively? Ask these 10 questions below to get a sense of who's right for you. 1. What types of home loans do you offer? Fixed-rate loan: True to its name, a fixed-rate mortgage means that the interest rate you pay remains fixed at the same level throughout the life of your loan (typically 15 or 30 years). Adjustable-rate mortgage (ARM): An ARM offers a low interest rate for an introductory period. After that period—typically two to five years—the rate becomes adjustable up to a certain limit, depending on market conditions. FHA loan: Geared toward low-income home buyers, a Federal Housing Administration loan lets borrowers put down as little as 3% on a house. VA loan: If you or your spouse serve or served in the military, you may qualify for a Veterans Affairs loan. Under this program, the VA guarantees the loan—reducing the risk to the lender—and allows you to finance up to 100% of the house's cost, so you won't have to come up with any money for a down payment. USDA loan: Another type of government-backed mortgage, this loan is offered by the U.S. Department of Agriculture Rural Development in towns with populations of 10,000 or less. USDA loan borrowerscan have down payments as low as 0%. Jumbo loan: If you live in a pricey housing market, you may end up with a jumbo loan—a mortgage that's above the limits for government-sponsored loans. In most parts of the country, that means loans over $417,000; in areas where the cost of living is extremely high (e.g., Manhattan and San Francisco), the threshold jumps to $625,000. 2. What type of mortgage is best for me? A mortgage lender should be able to answer this question once you’ve completed a loan application and the lender takes stock of your employment, income, assets, credit, debt, expenses, down payment, and other information about your finances. 3. What are your closing costs? For home buyers, closing costs—the fees paid to a lender and other third parties that help facilitate the sale of a home—typically run about 3% to 4% of a home’s sales price. So on a $250,000 home, your closing costs as a buyer would amount from $7,500 to $10,000. The good news is some closing costs are negotiable: attorney fees, commission rates, recording costs, and messenger fees. Your best approach is to submit loan applications with several lenders so that you can receive good-faith estimates(GFEs), which contain an itemized list of a lender’s closing fees. 4. How much time do you need to complete a mortgage? One recent study found that closing times take, on average, 50 days. But, if you’re buying in a hot housing market, you may need to find a lender who can turn around a mortgage quickly—30 days or less. The caveat: Some types of loans often take longer to process. The entire FHA loan process, for example, may take 30 to 60 days from the time you apply for the loan to the day you close, since the house must pass an inspection conducted by the U.S. Department of Housing and Urban Development. And if the house requires certain repairs in order to pass inspection, they must be completed before the sale can go through. 5. Do you do underwriting in-house? Underwriting—the process in which mortgage lenders verify your assets to get a home loan, check your credit score, and review your home appraisal—can last as little as two to three days, but typically takes over a week to finish. All loans must go through underwriting before the lender can issue you the funds for a home purchase. 6. What documents do I need? Proof of income and assets, personal identification, and information about your credit history are the big three. It can be a lot of paperwork, so start now by getting your paperwork in order. 7. Do you participate in any down payment assistance programs? Need help making a down payment? There are many down payment assistance programs across the country which can help. One study found that buyers who use down payment assistance programs save an average of $17,766. The challenge, though, is not all mortgage lenders participate in these programs—but if you need down payment assistance to buy a house, you’ll need to find a lender that does. 8. Do you charge for an interest rate lock? A mortgage rate lock is a commitment by a lender to give you a home loan at a specific interest rate, provided you close on your home in a certain period of time. This rate lock offers protection against fluctuating interest rates—useful considering that even a quarter of a percentage point can take a huge bite out of your housing budget over time. Most lenders will offer a 30-day rate lock at no charge to you, but some lenders do charge for rate locks. This fee can be as high as 1% of your total loan amount. On a $300,000 mortgage, that means paying up to $3,000 to secure your rate—that’s not chump change. 9. Who will be the title and escrow agency or attorney? You don’t have to leave the selection of the title company up to the lender. See how much your mortgage lender’s recommendation will cost, then shop around and see if you can save any money. You can do the same for an escrow agency and attorney. 10. How do you communicate with your clients? A great mortgage lender will stay in close contact with you, giving you updates on key steps in the mortgage approval process (e.g., the home appraisal and underwriting), says Yee. Additionally, you want to find a lender that you could reach easily when you have questions. Some loan officers work only during regular business hours, Monday through Friday, which can be a big disadvantage if you need help on a weekend.